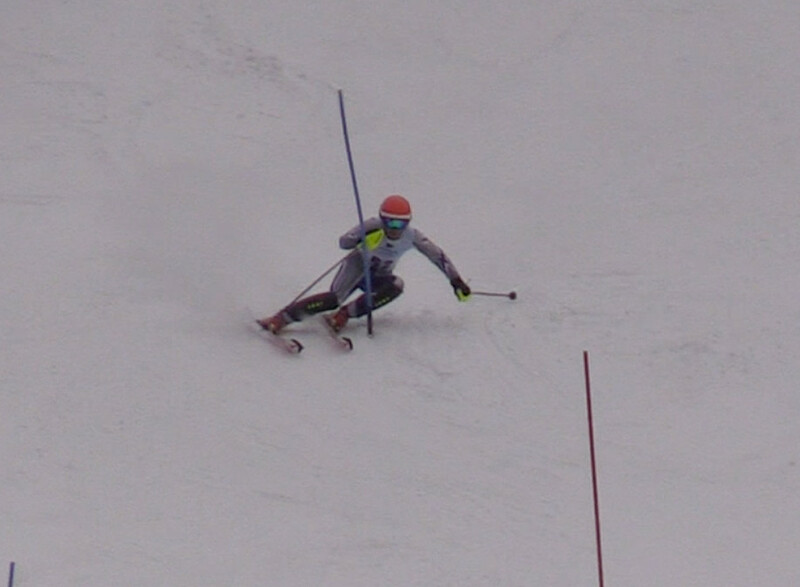 Slalom is the turniest of all ski races. The slalom skis are short, for instance FIS regulations are 165cm for men and 155cm for women with a radius of around 12-13m. The gates used for slalom are single poles, not flagged and set at 9-13m on average, or less for kids. These are hinged and are meant to be cross-blocked by the skier, as the skis go around the outside and the body through the inside the gate. The gates alternate colors between red and blue poles. At higher level competitions, two poles are used to mark a gate. 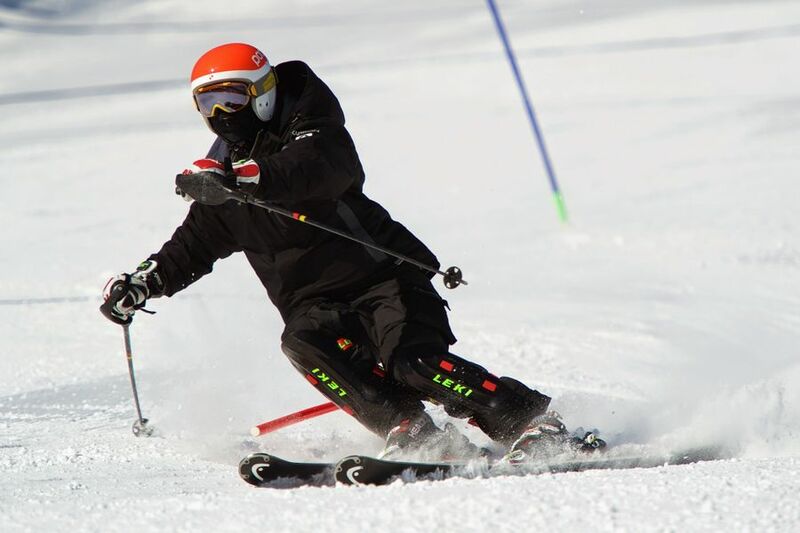 In training and lower level competitions, just one is used and the set of the course makes it obvious on which side of it the skier must pass. Viewed 178 times ( | Print ) this page.